Quinns: Everybody, please give a warm welcome to a new gladiator in the news arena. Intern Kylie is here to write news and drink tea, and she’s well aware it’s not tea time. Did that sound badass? I’m pretty sure it did. Kylie, take it away. 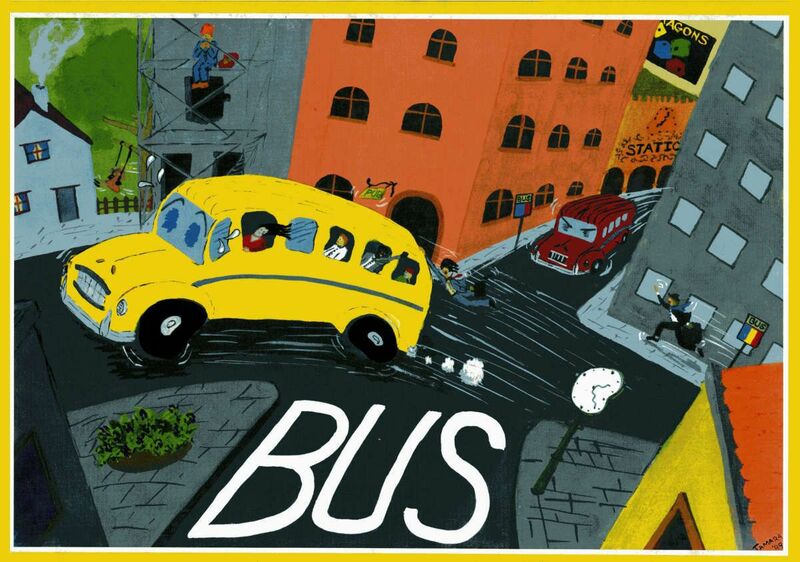 Kylie: Capstone Games has announced a special 20th anniversary reprint of a Splotter Spellen classic, Bus. Splotter Spellen is the Dutch team behind Food Chain Magnate and the bucolic and bizarre Roads & Boats. Sadly, they’re also known for sparse print runs and a lot of their games are nigh-on impossible to find. This year, they’re letting another publish reprint one of their grand designs. 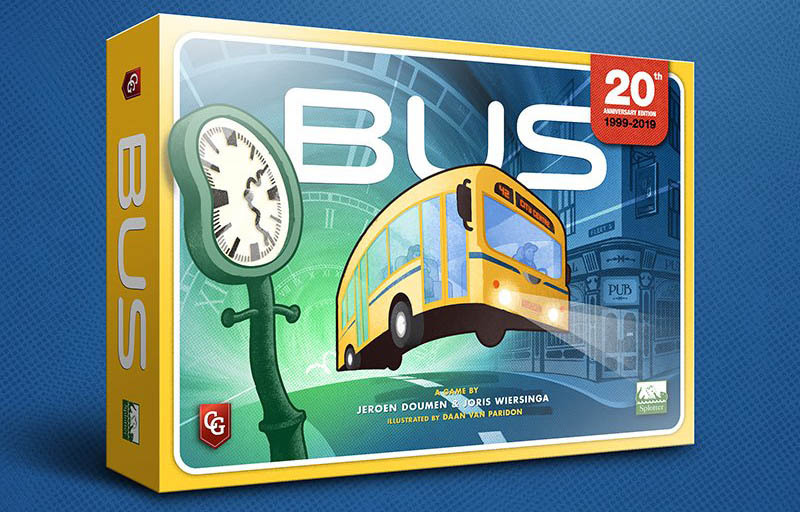 Bus is a game that is, unsurprisingly, about buses, and sees players creating their own public transport links and transporting passengers around an ever-expanding city. It’s essentially an action-selection game with some unusual mechanics, like during route building, the player who chooses the action actually gets to build last. It also features some cutthroat player interaction and a mechanic where if players freeze time too much then the game ends because the space-time continuum unravels, destroying the universe (and, presumably, your bus routes). It looks almost like a child painted it? A super talented child, mind you! Kylie: At the end of last year I decided that I should probably read Frankenstein, so the announcement of Abomination: The Heir of Frankenstein from Plaid Hat Games (pictured above) is very timely. 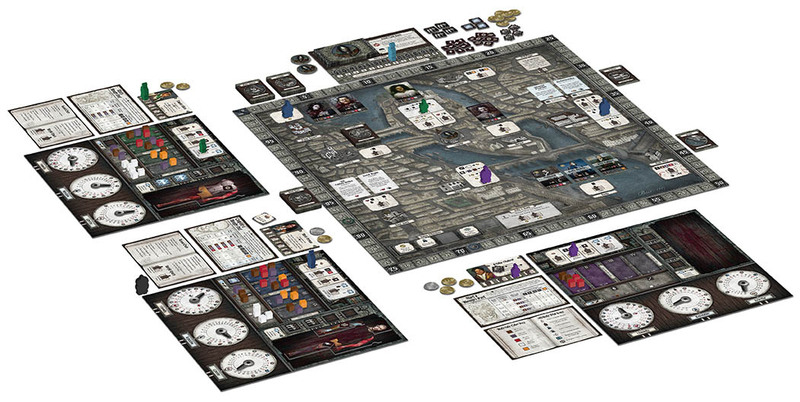 Set twenty years after the novel, the aim of the game is to create a companion for Frakenstein’s monster, who’s hired you for the task himself. The game uses worker placement mechanics as players research scientific findings, charge Leyden jars and obtain the ‘materials’ required to create their beings. The game is also seemingly sprinkled with a bit of bribery and murder for good measure. But don’t get too excited! You have a mere twelve rounds in which to finish building your monstrosity. There’s a fear of either your body parts decaying or a certain Captain Robert Walton catching up with, and killing, your patron and completing the oath he swore to Dr Frankenstein all those years ago. Or so I’m led to believe. I never actually finished the book…. Quinns: Hang on. Judging by the components, Frankenstein’s monster has commissioned you to create a male companion. So either Frankenstein’s monster is queer, or just really wants a bro, both of which are amazing. Build-A-Bro Workshop, that’s what I’d have called this game. Kylie: In one of my English literature creative writing exams I wrote a story about falling into a pit of lava and trying to find a way out of that hellscape. 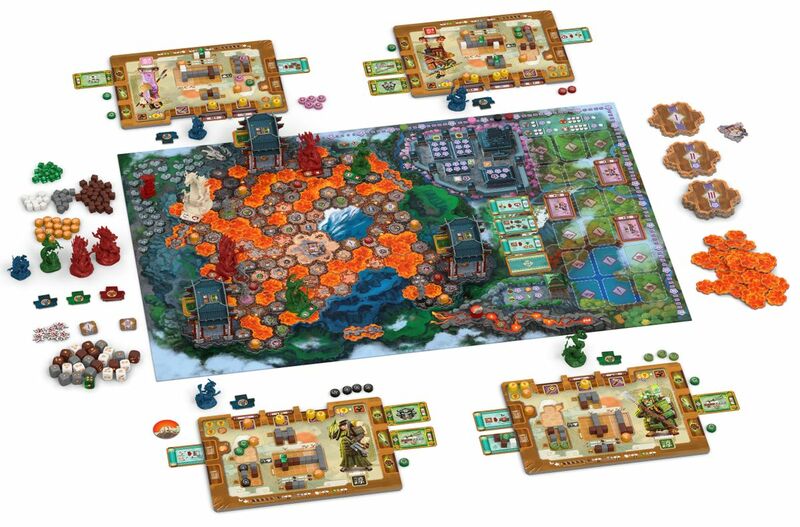 I’m flattered that the designers of new Kickstarter game Fuji Koro have apparently taken inspiration from my early work, except they’ve added samurai, three-dimensional temples and no less than thirteen dragons. Quinns: Sounds like they’re really testing the purity of your original vision. Kylie: Honestly, this game looks insane! Players are trying to find ancient artifacts and gather resources in order to defeat the aforementioned mystical dragons that they’ll encounter along the way. 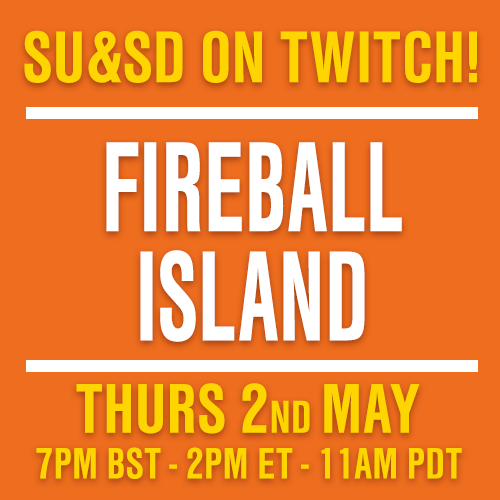 Did I mention all of this is happening inside a volcano which is in the process of erupting? Wild! I’m not sure how I feel about the blocky Minecraft aesthetic, but it’s nice that this game is wearing its influences on its sleeve. Players in Fuji Koro gather resource cubes from inside the volcano, and then can “craft” those cubes into equipment by laying the cubes out in various shapes. Kylie: I’m not super drawn in by the box of Potemkin Empire, but the concept outlined in the Kickstarter has my curiosity piqued. In the game, you’re trying to impress the Empress Catherine the Great with your prosperous village when she passes by. Only thing is, your village isn’t prosperous, it’s a disaster. However, as the mayor you’ve come up with a plan to fake it by creating majestic-looking facades with absolutely nothing inside. Players get points for each building they construct whether it’s real or not, and each building you add comes with a unique ability. 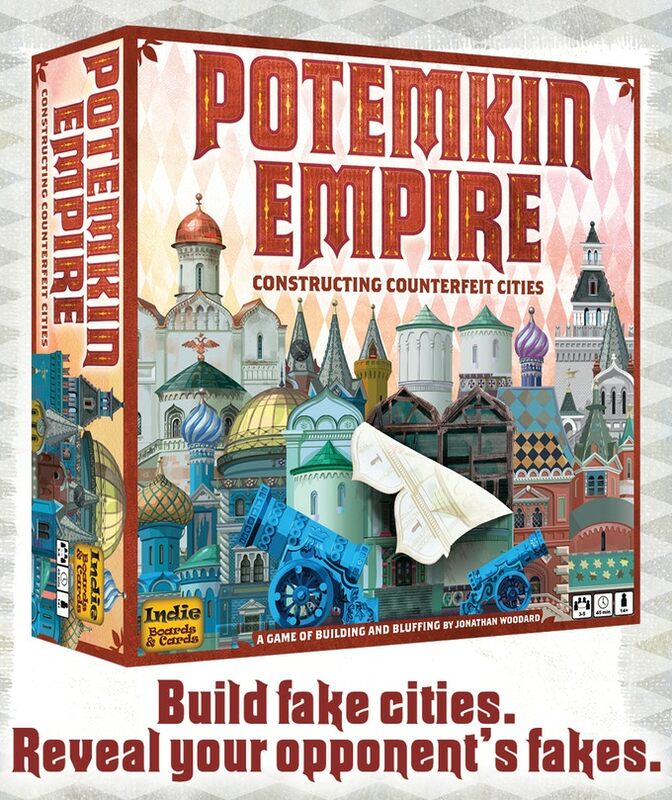 Players can also spy on each other and gain extra points by exposing their opponents’ fake buildings, whilst passing off their own house(s) of cards as the real deal. Quinns: Loving the three-dimensional building facades in this one. What a lovely theme for a game. I’m not sure that Indie Boards & Cards quite pulled off what they were attempting with the art design, though. Do those yellow “Interior” cards look a bit sickly to anyone else? I don’t know whether to buy this game or buy it some vitamins. 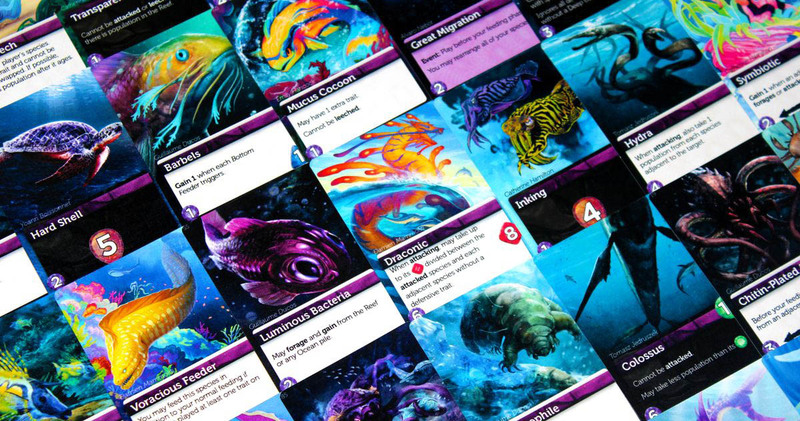 Kylie: Oceans is a sequel to the popular game Evolution (which we reviewed here), it’s on Kickstarter right now and sees you evolving a species and finding it a role in the ecosystem. With a bit of luck that role will be “eating your friends”, but players are unlikely to stay on top for long. Throughout the game your species will gain and lose traits, and might even become extinct. I absolutely adore the idea of creating a unique species each and every game, and setting this game in the ocean adds to the charming primordial soup that started with Evolution. Whilst on the surface the ocean creates an idyllic and picturesque scene, humans have actually only explored around 5% of it, and North Star Games are representing this with a huge deck of traits known as “The Deep”. The Deep will add powerful traits and ‘strangeness’ to your species. There’s a joke here to do with The Deep adding hidden depths to the game but I can’t quite find it. Also, I can’t put my finger on why, but I’m slightly creeped out by the shark with the tribal tattoo. Then again, I’m not really sure what tattoo a shark would have? 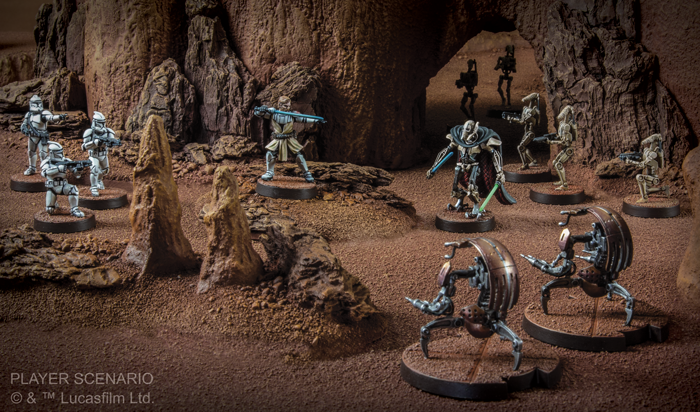 Quinns: Finally, we’ve got one final Kickstarter to draw your attention to. Superb review site No Pun Included are doing their yearly crowdfunding campaign, offering (among other things) a new Gloomhaven adventure to anyone happy to support their efforts. Also, they’re currently sourcing donations for Elaine to go part-time! If I want to watch a review of something that SU&SD hasn’t covered, NPI are my first port of call. Especially recently, their analysis and gags have made me jealous. For a taste of what I’m talking about, check out the intro to their Estates review (above) or this amazing bit of prop work in their Now Boarding review. Ack! They’re really very talented. I’m off to support them right now.